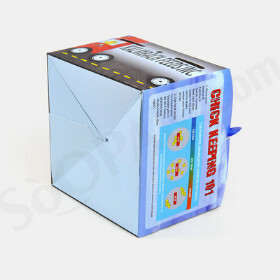 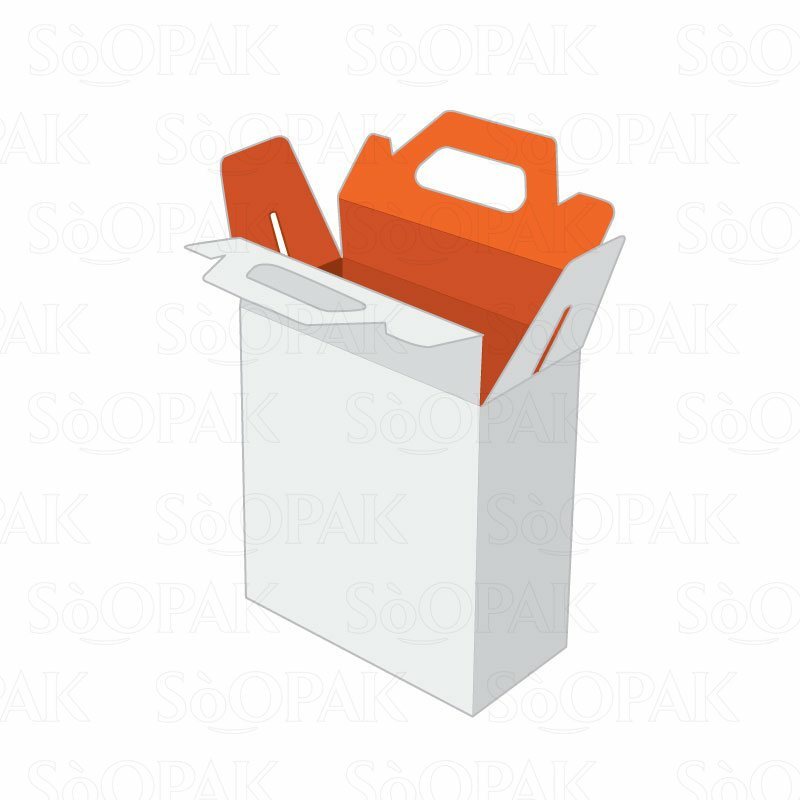 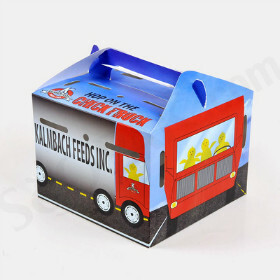 These distinctive gable style boxes feature an innovative design that makes it ideal for use within the fast food industry. 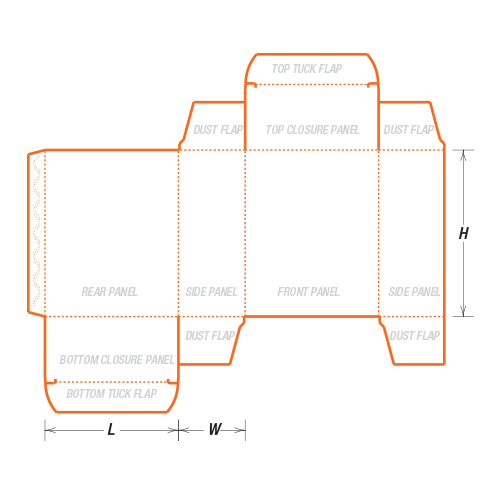 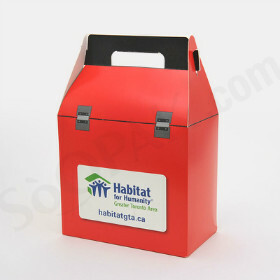 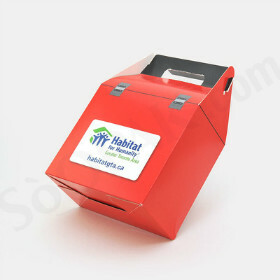 Designed for manual set-up, these gable boxes can be loaded and closed quickly and easily. 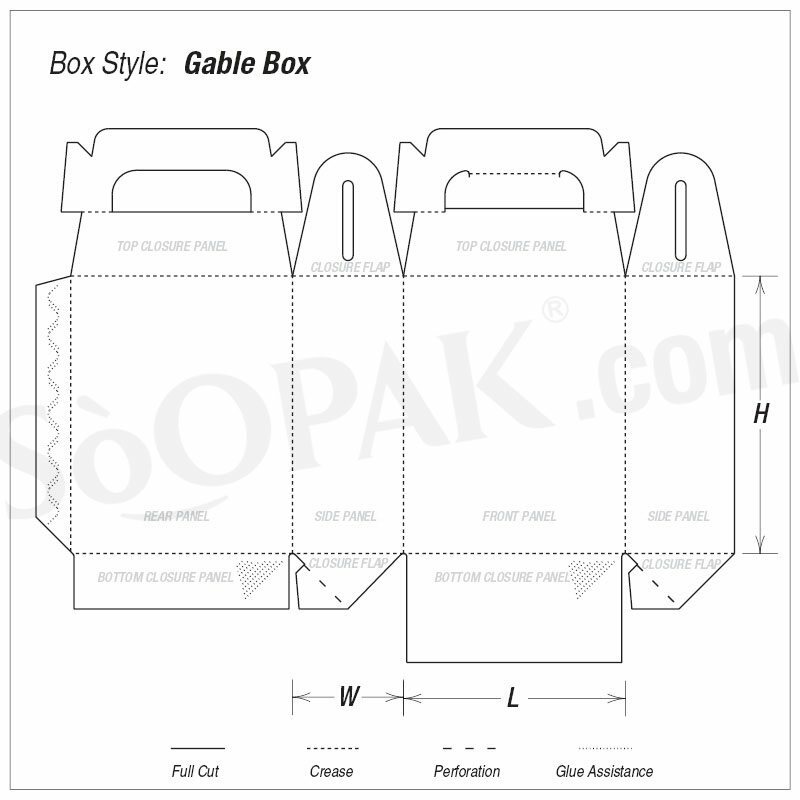 Along with a fast and easy set-up and closure, these gable boxes also feature a convenient carrying handle. 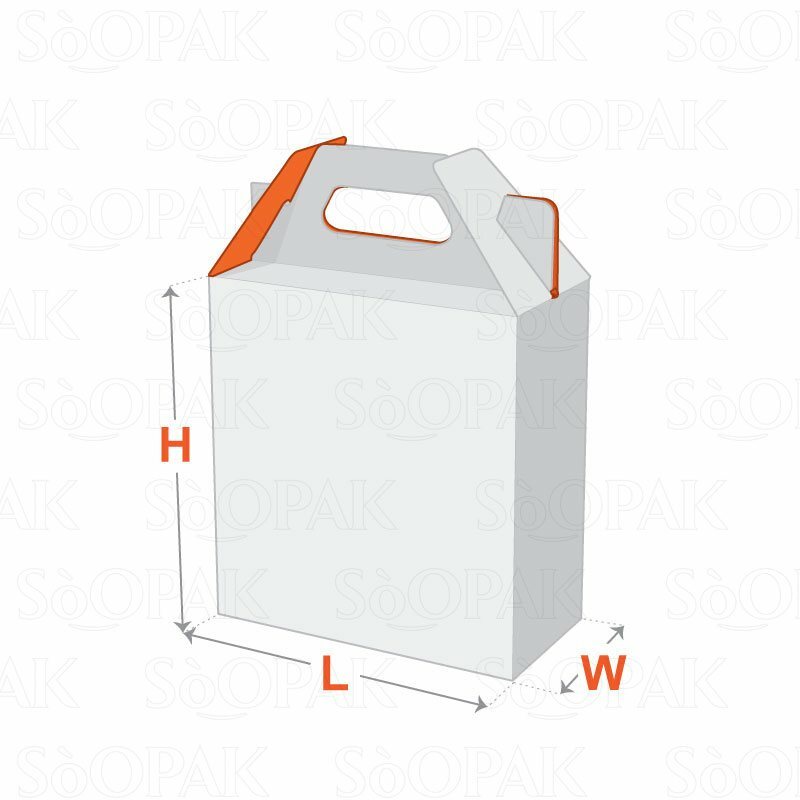 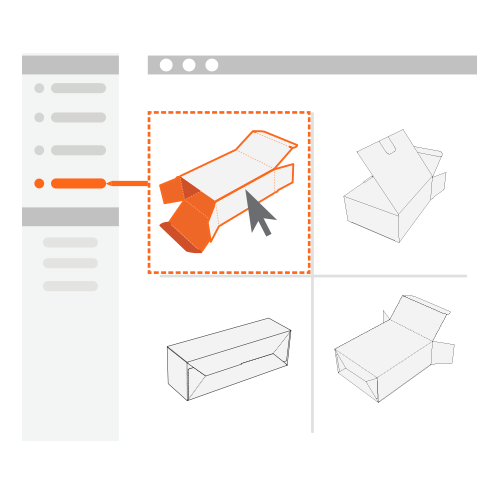 Additionally, the body and bottom of these boxes are designed to be folded into a flat shape, making it possible to maximize storage space. 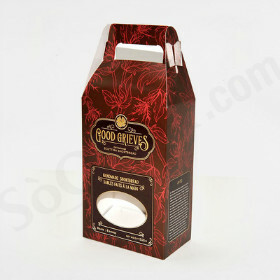 The bottom of these boxes can also be restored automatically to their sealing status by stretching the box.